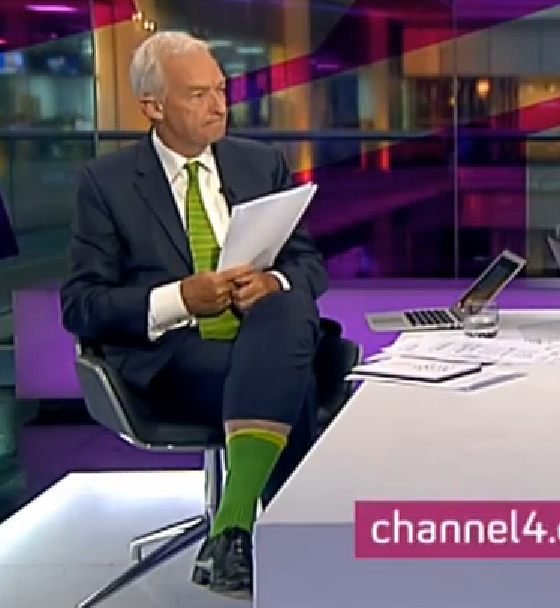 On July 4, Independence Day in the United States, Channel 4 News broadcast a Jon Snow interview with Hillary Clinton, former US Secretary of State and presumed presidential candidate. For a self-proclaimed 'pinko liberal' like Snow, this was a glorious opportunity to ask hard-hitting questions about US foreign policy and Clinton's own role in shoring up the American Empire. Why did Snow ask Clinton a loaded question about the West's supposed 'failure' to press Israel on illegal settlements; as though the US, in particular, is a hapless and helpless bystander to Israel's major international crimes? This turgid display of Twitter willy-waving was, as more polite and erudite readers pointed out, merely argumentum ad populum. By Snow's logic, perhaps we should bow down before the political wisdom of Justin Bieber (27,200 tweets and 52.7 million followers) or perhaps the remarkably tweet-efficient Beyoncé (only 8 tweets, but a stonking 13.4 million followers). As we have previously noted, Snow enjoys wide acclaim, especially among his colleagues in the media industry, for his seemingly critical awareness and probing journalism. Politicians are put on the spot and tough questions asked, we are led to believe. In reality, his long, privileged position at the helm of C4 News is not disconnected from his consistent habit of emphasising the crimes of official enemies, while soft-pedalling or blanking those of 'our' leaders in Washington and London. In a 2001 interview with David Edwards, not long before Media Lens was launched, Snow brusquely dismissed the propaganda role of the corporate media (which, even now, he persists in calling 'the mainstream'). He also rejected out of hand the idea that Western foreign policy is imperialistic, violent and profit-oriented. And yet he still brazenly described himself in the same interview as 'Chomsky fan numero uno.' It all begs the question of how seriously we are to take Snow's credentials as a critical journalist or even a left-leaning liberal. Following up his assertion of 'hostility', Snow said that what 'puts me off media Lens' is that 'I get nothing but abuse - what's the point?' Like many journalists, Snow seems unable to distinguish between Media Lens and readers of Media Lens. We have always tried to remain calm and polite, with occasional doses of good-natured humour, in our exchanges with people... journalists included! We also encourage readers to adopt the same approach and we strongly discourage abusive messages to journalists. When journalists claim, wrongly, that they get abuse 'from Media Lens', they might as well claim that they get abuse 'from the Guardian' if an angry Guardian reader fires off an email to them. The truth is that corporate journalists will use almost any rhetorical device, including stubborn silence, to avoid the substance of the arguments we make. Otherwise, surely they would be able to respond with reasoned, evidence-based answers to whatever we put to them. Snow didn't get much joy on Twitter from members of the public, with virtually every response critical of his stance. The 'number of followers argument', an obvious red herring, is contradicted by the fact that Media Lens has considerably more followers than journalists writing regularly for high-profile newspapers. Perhaps Media Lens would have even more than Jon Snow if, like him, we had a daily news programme in a popular early evening slot on a major British television channel. And if we wore funny socks and ties. Jeremy Bowen, the BBC's Middle East editor, is another titan of the media world who is generally well-regarded by his peers and much of the public, but who is unwilling to engage in substantive debate with us. Indeed, he blocked us on Twitter some time ago for some unspecified crime; most likely 'hostility', or perhaps for having the 'temerity' to be critical of his reporting. Bowen also brushes away the experience of Tim Llewellyn, a former BBC Middle East correspondent, who notes that the BBC is 'culturally and socially stuck in the Zionist frame' and that BBC News coverage of Israel and Palestine is 'replete with imbalance and distortion'. Bowen dismisses all of this out of hand; at least, in public. But, as we've seen over the years in exchanges with journalists, Bowen has no substantive counterarguments to refute us: no facts, evidence or reasoned discussion. Conforming to the usual pattern of steadfast loyalty to his employer, Bowen simply asserts that the BBC provides 'the best account... of what's happening.' He doesn't have to justify this because, in his own mind, he's clearly right and also because he's 'extremely busy'. He will always be 'extremely busy'. Until, one day, he retires and then perhaps finally feels willing to speak out more freely – as the veteran US news anchor Dan Rather did on Iraq when his career was over; rather feebly and when it was all far, far too late. So why do we even bother challenging journalists? Because our objective is to raise public awareness of the systemic constraints in the corporate media, even on the supposed 'Titans' like Jeremy Paxman, Andrew Marr, Jeremy Bowen and 'pinko liberal' Jon Snow. Our hope is that by exposing the distortions and omissions in corporate news - very much including the BBC and Channel 4 News - we will help to build a head of steam for alternative, truly democratic and accountable media.